Singer Suffolk, Ipswich, Bury St. Edmunds, Lowestoft, Felixstowe, Sudbury, Woodbridge and other areas of the UK. Louise is very adept at weighing a situation up and providing just the right music for the occasion. Her music crosses the borders of swing, blues, pop and rock which she manages to sing with conviction and adapts each song to her own unique style. Louise’s influences have been many and varied, including Ella Fitzgerald, Dusty Springfield, Vera Lynn and Judy Garland. She has used these influences to forge her own soulful style. Don’t forget that Louise is always willing to learn any requests that you may have and you wont be disappointed when you hear her beautiful rendition of your favourite song. Most of the time Louise is hired as a duo with piano accompaniment, but this line-up can be enlarged by adding other instruments. You can have just a duo (piano and vocals) or any other combination right up to a five piece jazz band consisting of piano, bass, drums, vocals and saxophone. These line-ups can be mixed and matched so that you can have one line-up for part of your event and another line-up for another. Louise always uses the finest musicians so that you can rest assured that the music is going to be first-rate. 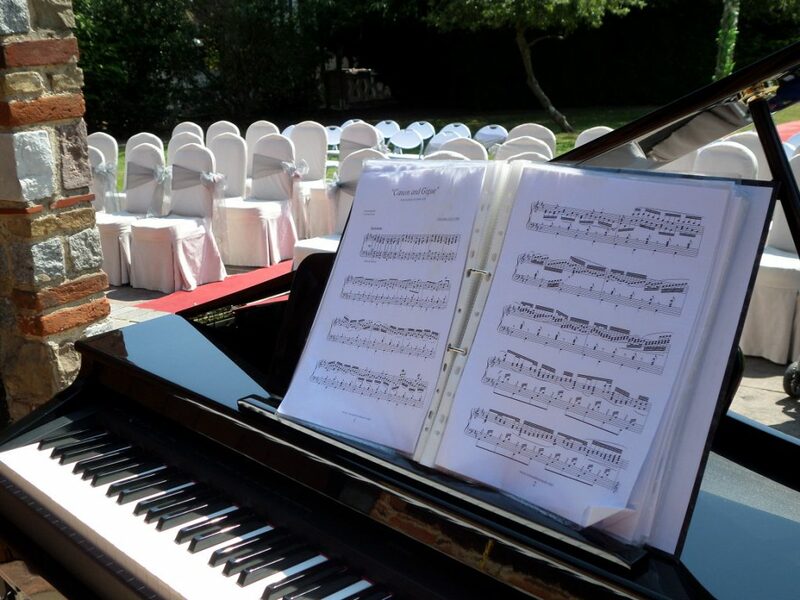 If the venue doesn’t have an instrument of its own, a digital piano is available at no extra charge. If you are looking for something that looks more like the real thing, then you might consider paying a little extra for the baby grand piano shell. As its name suggests, this is and empty shell which is put together at the venue. A normal digital piano is then place inside and the result is a really stunning looking instrument with a staggering sound quality. Please see the Baby Grand Piano Page for more details. Newmarket, Needham Market, Framsden, Nayland, Framlingham, Mildenhall, Felixstowe, Woodbridge, Lowestoft, Eye, Wherstead, Leiston, Debenham, Sudbury, Lavenham, Culford Park, Stowmarket, Lakenheath, Clare, Stanton, Kesgrave, Southwold, Ipswich, Bures, Snape, Holbrook, Bungay, Sizewell, Haverhill, Beccles, Saxmundham, Halesworth, Barton Mills, Otley, Hacheston, Aldeburgh and Bury St Edmunds.